Marcos Betances got a bonus this day in July 1988 and it was well-earned. That's because Betances went out for the Bristol Tigers of the rookie Appalachian League and threw a no-hitter. To show his appreciation, according to The Bristol Herald-Courier, Tigers farm director Joe McDonald dug into his wallet while still in the dugout and handed Betances a $100 bill. Betances' success ended up being short-lived. That was his first season as a pro. He got into just two more. He never made AA. Betances' career began that year, signed by the Tigers as a free agent out of his native Dominican Republic. Betances played his first year at rookie Bristol. Over 13 starts that year, he posted a 4.24 ERA and went 5-3. He started his 1989 season at singile-A Fayetteville and his season didn't start well. In mid-April, he apparently punched a wall with his pitching hand in frustration, according to The Fayetteville Observer. His hand swelled up and he needed a cast. He was expected to be out up to six weeks. Betances got five starts at Fayetteville, with a 5.49 ERA. In mid-June, he was sent down to short-season Niagara Falls. He also saw time that year at Bristol. Overall, he got into 18 games, 15 starts. 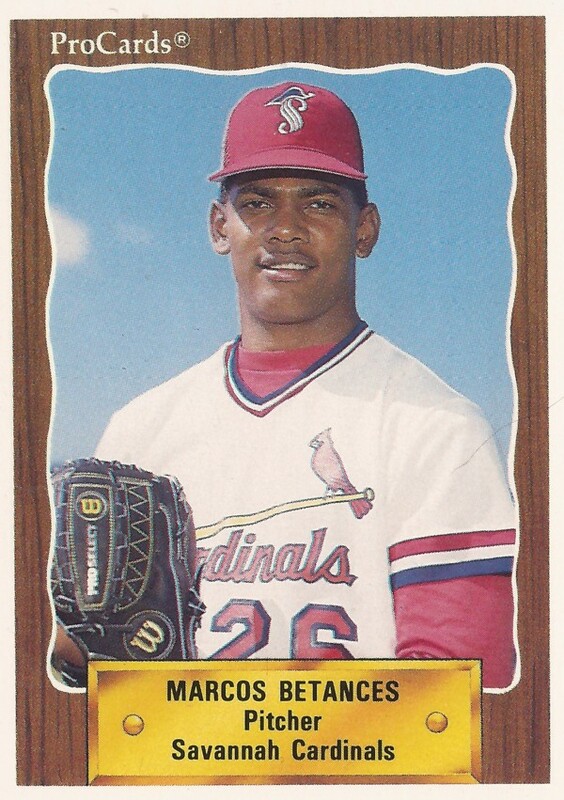 He had a 6.62 ERA. That December, Betances was included in a trade to the Cardinals. 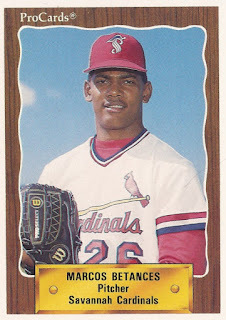 He played 1990 at single-A Savannah and short-season Hamilton. He went 0-4 at Savannah, with a 5.79 ERA. At Hamilton, he was 4-7, with a 3.70 ERA. It was Betances' final season as a pro.